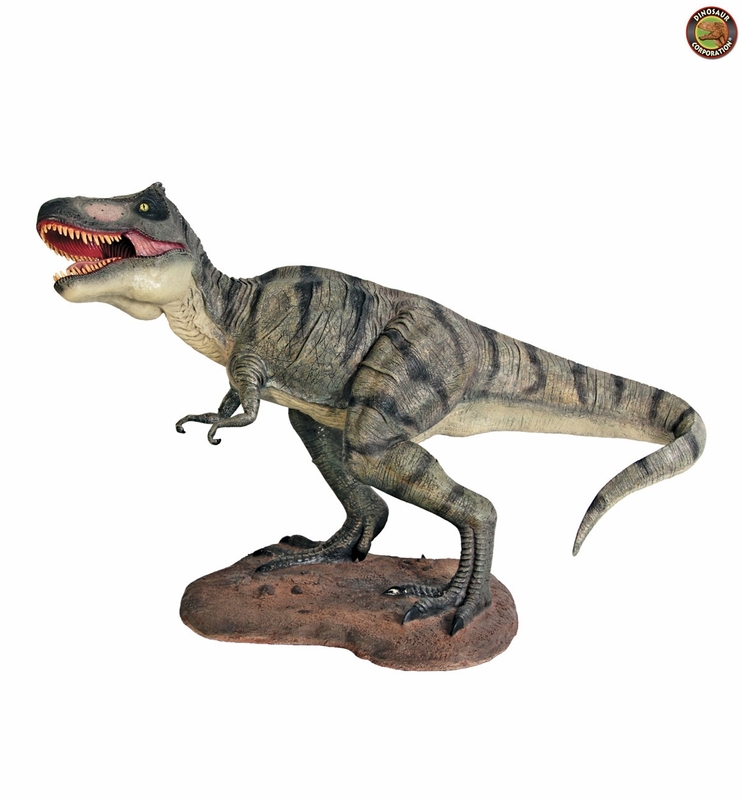 Home | STATUES | Tyrannosaurus Rex Scaled Dinosaur Statue 44"
Tyrannosaurus Rex Scaled Dinosaur Statue. 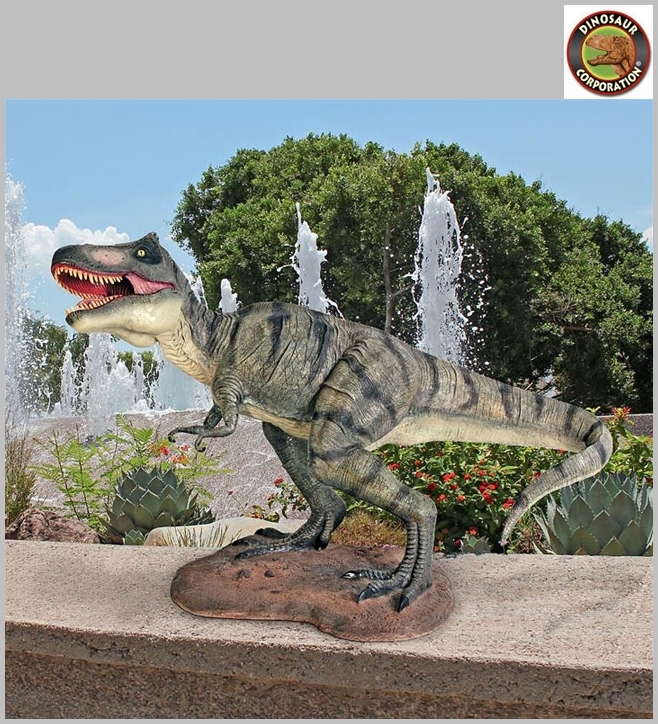 At nearly four feet long, our Tyrannosaurus Rex dinosaur statue promises to prowl your flowerbed with deadly impact! Realistically sculpted with rows of menacing Tyrannosaurus Rex teeth, a fearsome dinosaur tail and scaly skin, our T-rex dinosaur statue is cast in quality designer resin, reinforced for supreme strength with fiberglass and hand-painted with powerfully convincing color and texture to be as faithful as possible to the form of its ancient species. Tyrannosaurus Rex remains have been found in Texas, Wyoming, Colorado, South Dakota, Montana, and Alberta. Visitors to your garden will admire your prehistoric garden style as Tyrannosaurus Rex sculpture makes a Late Cretaceous statement!